My Inbox: Flowers and more from Fumiko! 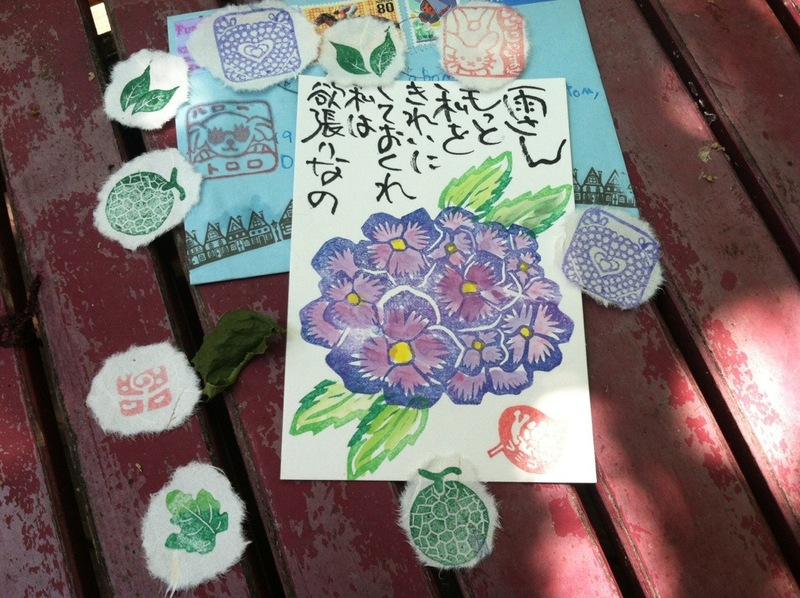 A lovely etegami of flowers, along with little pieces of paper with imprints from her hand-made stamps. I envision using them to add to cards in the future, collage-style.